My second visit on the first day of Bauma 2013 was at the booth of Terex cranes. This was right beside the Liebherr booth and I was looking forward to have a direct comparison of both of the competitors. 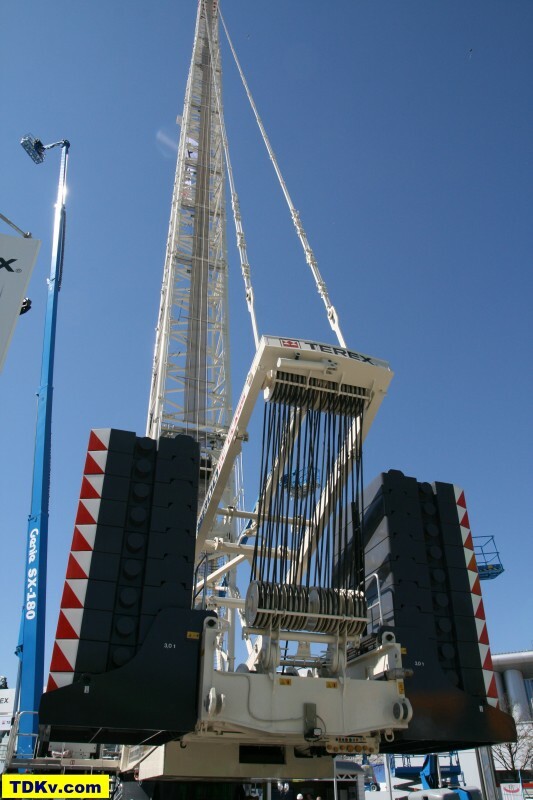 As Terex is a crane manufacturer with a most versatile product range of cranes, I was full of expectations. These expectations were also raised by the long white lattice boom that could be seen from far. Though Terex has such a wide variety of brands and cranes in its portfolio, the crane manufacturer has shown only three cranes on the booth. This morning started the 30th Bauma trade fair in Munich. 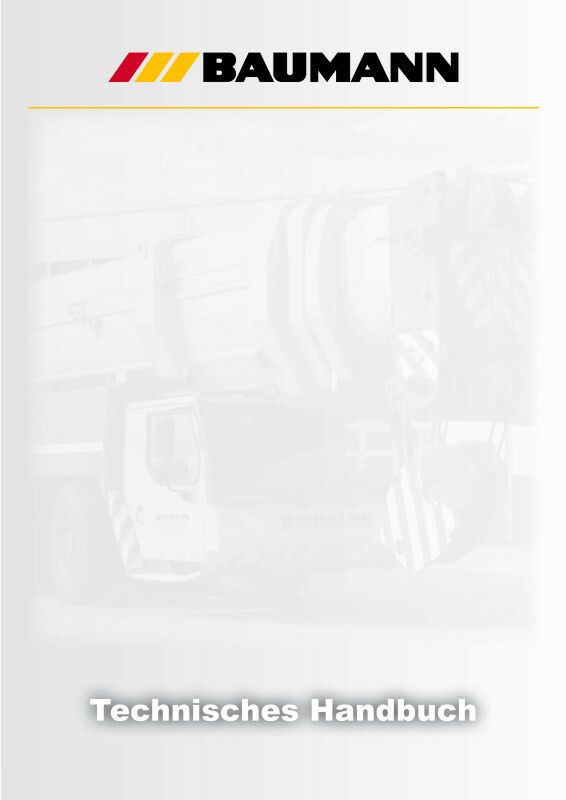 It’s the biggest trade fair for the construction business in general and also most important exhibition for all kinds of cranes, access platforms, heavy transport machines and any heavy lifting stuff. 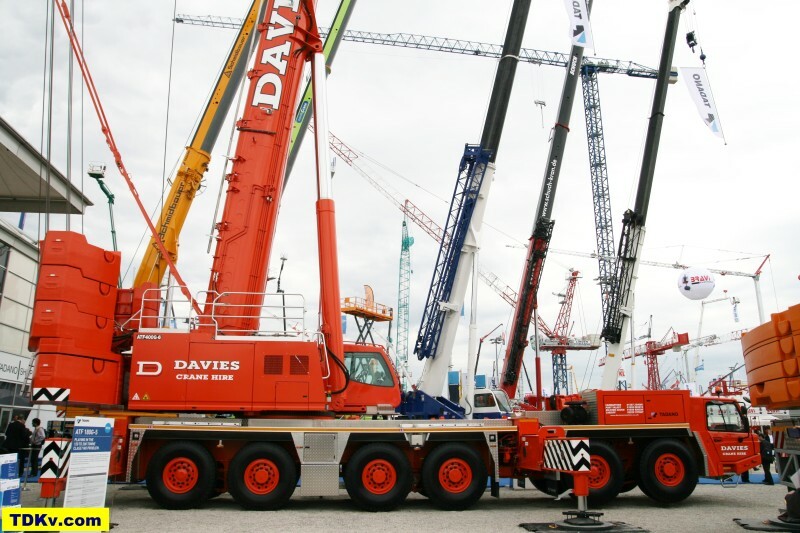 To me the most interesting and fascinating exhibitors of course are the divers crane manufacturers. 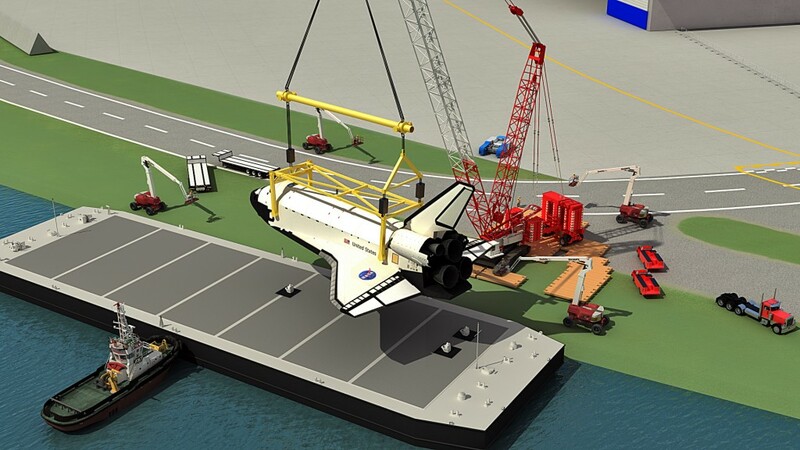 So I was very curious to see the new cranes the crane manufacturers have on display. I started my tour today on the open air area on the booth of Liebherr cranes. The Liebherr crane booth was the same like 2010: Massive, huge and again much impressive! On September 16th I was invited to attend the open day of the mobile tower crane manufacturer Spierings in Oss. 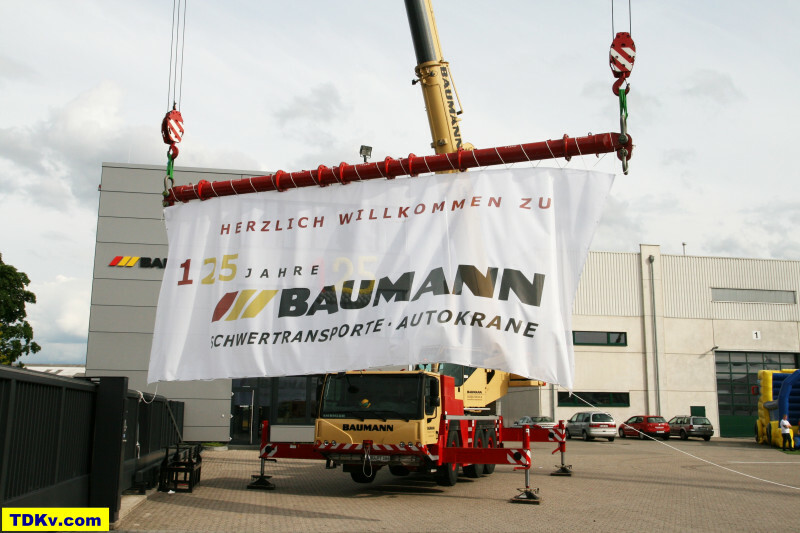 During Friday and Saturday of that weekend the crane manufacturer has celebrated its 25th company anniversary. That is why Spierings had invited customers, employees and friends for a two day celebration and open day to its headquarter and production facilities in Oss, Netherlands. 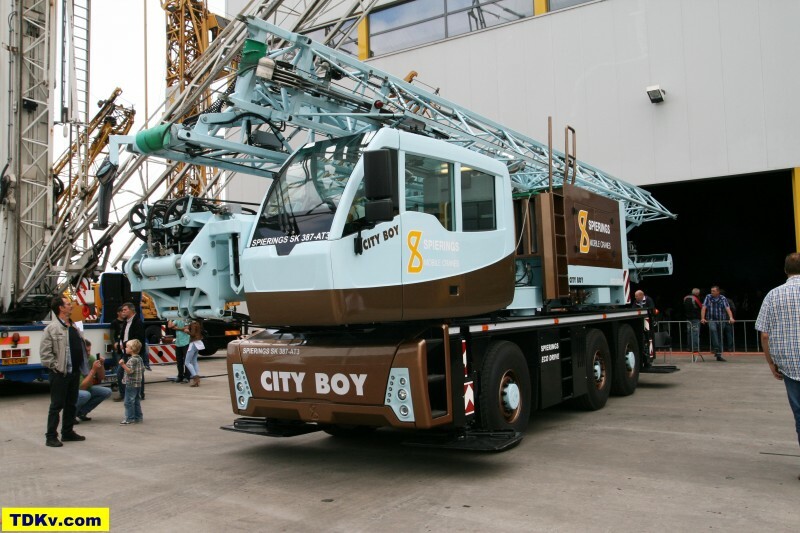 The outstanding highlight of the celebration was the official launch of a completely new mobile tower crane. Liebherr crane in Ehingen hosted their famous crane days for customers and employees last week. Amongst many others the new LR 13000 crawler crane has been on display. 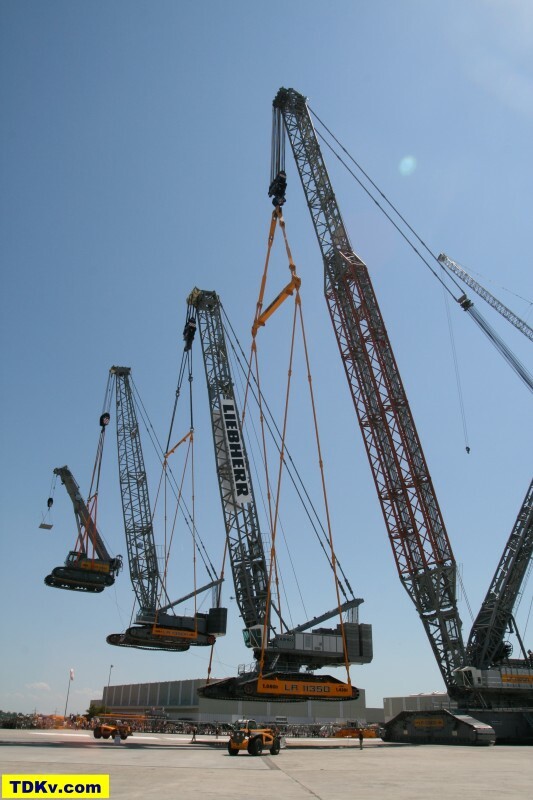 The biggest crane in the Liebherr range has probably been the most observed one on display. I had the great pleasure to visit the Liebherr crane days on Saturday. It was my very first visit to the crane plant in Ehingen. To say it up front, it has been a huge and most impressive event with perfectly arranged crane parades and shows. Also, visiting the production facilities and assembly lines for small and big mobile cranes has been absolutely overwhelming. With this blog post I want to share with you some impressions of a real great day and a phantastic event. 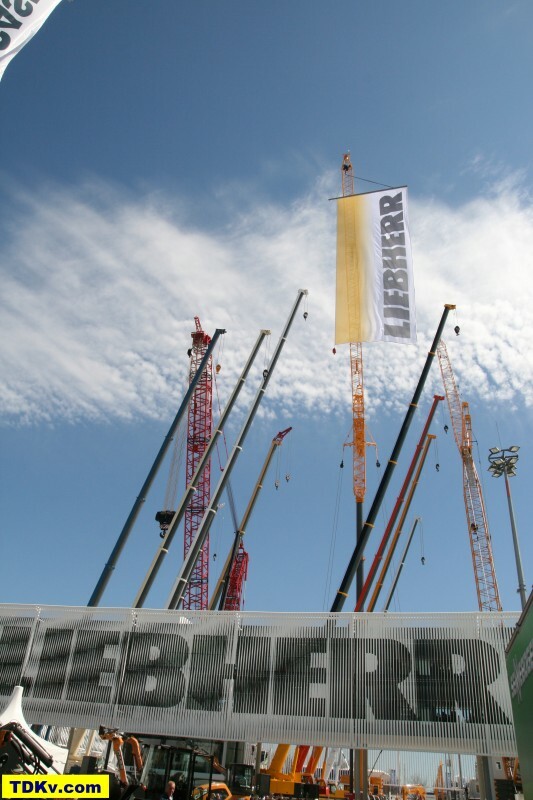 Beside a lot of information about this years Liebherr crane days you will find a huge picture gallery showing the LR 13000, LR 11350, the brand new Liebherr LTM 1750-9.1 and the world premiere of another completly new developed crane.